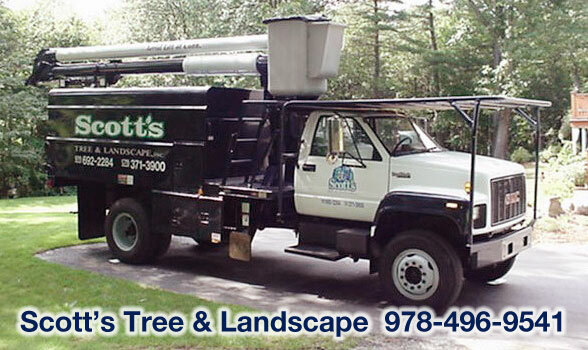 Scott’s Tree & Landscape, Inc. is a Full-Tree Service and Landscaping company serving Westford, Concord, & Carlisle. We provide customers top quality landscaping services and hands-on attention. We operate a first-class company that customers can rely on for their tree, landscaping, and irrigation needs. Scott’s Tree & Landscape, Inc. has over 20 years of experience and our customer’s satisfaction is our highest priority. We provide landscaping solutions that work with your architecture, setting, and budget to Westford, Concord, Carlisle and the surrounding Massachusetts towns. Whether you need pruning, tree removal, an entirely new landscape design or you’re just redesigning one section of your existing landscape, our experienced professionals can help. Call us today at 978-692-2284 for a free estimate!